The Special Enrollment Period (SEP) is just around the corner, running 11/15/18 through 12/15/18. SEP is your solution for clients that do not meet carrier participation or minimum employer contribution requirements. It requires $0 employer contribution requirement and at least 1 coverage effective date for January 1, 2019. Click here to review SEP deadlines and types of coverage available. Please contact your Dickerson Account Representative for more information. Aetna has announced a 6% HMO rate reduction effective 1/1/19, while their MC/PPO rates remain unchanged. Traditional Managed Choice network includes 6 available plans. Effective 1/1/19 Open Choice PPO plans are no longer available for out-of-state employees that don’t reside in a Managed Choice POS network area. All plan names include the metal tier and meet the associated actuarial value. Rate changes will vary by plan and rating areas due to differences between 2018 and 2019 plan designs. Please keep the following submission deadlines in mind when submitting new business. Aetna provides a wide array of networks with multiple price points that can be offered alongside each other. 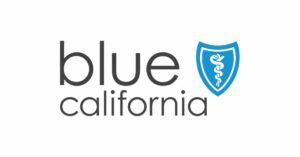 Blue Shield announced it will waive the 10% variance rule. Moving forward, they’ll waive the DE 9C requirement for groups with 5 or more enrolling employees when submitted with the completed and signed “Eligibility/Participation Attestation” and the most recent group medical bill. Start-up groups, groups with both union and non-union employees and group terminating a PEO arrangement are not eligible to have the DE 9C requirement waived. Health Net is offering agents assistance during the 4th quarter crunch. Their robust support along with a broad selection of small business-focused plans, streamlined underwriting, and a new bonus program is a sure-fire bet. They’re offering a choice of PPOs with lower price points and no integrated medical/Rx deductibles – including the Platinum PPO 250/15, Gold PPO 1000/30 and Silver PPO 2000/55 plans. Plus, don’t forget the Platinum HMO $30 and Gold HMO $35 plans introduced earlier this year to give accounts renewing in Q4 another option to consider. There’s also Healthnet Underwriting Simplified, a program that includes flexible options for all sizes of small businesses. From no paperwork to as little as 35% employee participation, these deals make it easier for groups to enroll. Finally, they’re offering a hefty broker bonus through December 31, 2018. Brokers earn $100 per member for every new Q4 small business group sale. There is no limit. The bonus is paid whether they sell through you or bring a group directly to Health Net. Despite these potential savings, many employees (and employers) still don’t want to deal with the potential risks associated with FSAs and possibly losing unused funds. As you likely know, participants have to use their FSA election within the plan year towards eligible expenses; any unused funds are forfeited — this is the infamous use-it-or-lose-it clause. Employers have options available that can lessen this risk for employees and make an FSA more attractive. A 75-day grace period following the end of a plan year for participants to use their remaining balance for new expenses is one option. Or, a $500 employer rollover option that ‘rolls up’ unused FSA funds (up to $500) from the previous year into the new year’s FSA balance. Most employees are highly unaware of all the potential uses an FSA has. 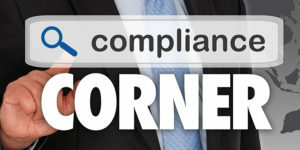 Using resources like sites such as FSAStore.com can help educate employees and participants to ensure they use the maximum amount of their FSA possible.